Life Apps is a new Al Jazeera English series that challenges young app developers from around the world to visit remote communities to experience their everyday hardships and create app solutions to improve their lives. 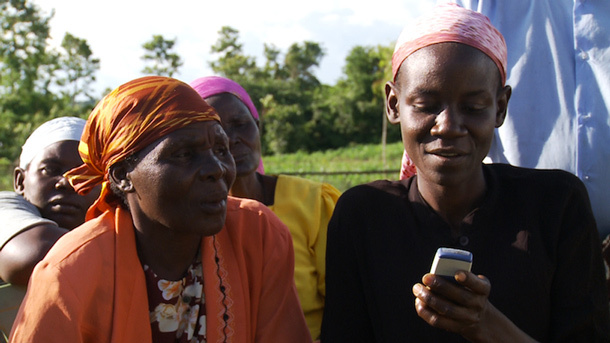 The first episode of Life Apps premieres on Al Jazeera English on Tuesday, 26 November 2013. In Silicon Savannah, Africa’s technology capital Nairobi is a hive of entrepreneurial Kenyans in a thriving technology industry. However, while some in Kenya are moving forward, four out of every ten Kenyans still live on less than two dollars a day. Muniu Kariuku is co-founder and chief technology officer at Bityarn Consult, a Nairobi-based app developer. Muniu is challenged to create a life app that can help hard-pressed subsistence farmers like William Ojuang, who farms indigenous vegetables like Osuga. Later episodes follow app developers from Rio’s favelas to Indian farms to the nomadic Himba people in Namibia, as they try to use technology to deliver social change. Silicon Savannah premieres 26 November 2013 at 22:30 GMT.